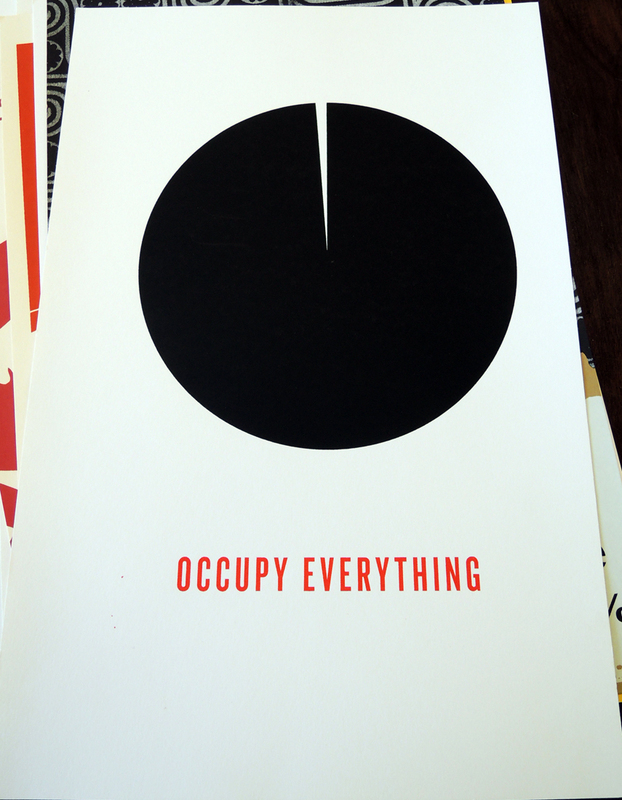 Beginning on September 17, 2011, a group of activists began occupying a section of lower Manhattan’s Zuccotti Park. The action became known as Occupy Wall Street (OWS) and lasted until November 15, 2011, when the group of forced to leave and their tents removed. The issues raised by the group were diverse and the material they published equally varied. 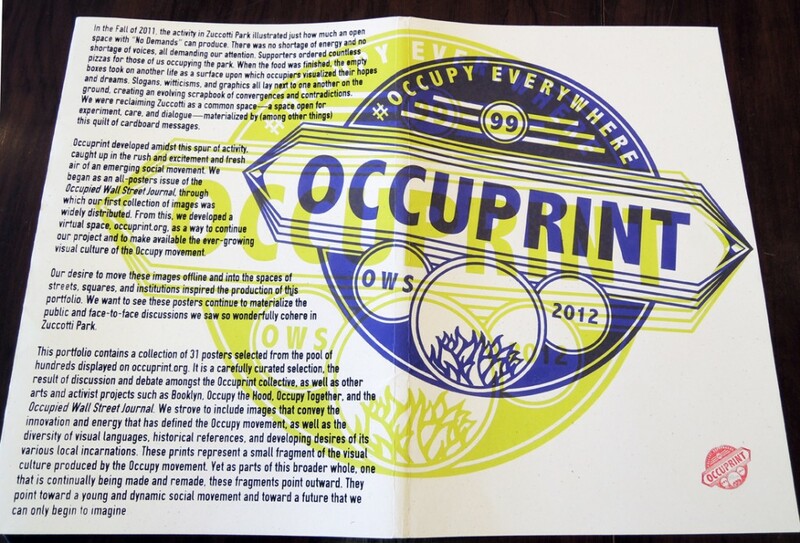 The OWS Screen Printing Guild was organized as an official working group within the OWS General Assembly to manage visual material, with a subgroup known as Occuprint to help with publishing. 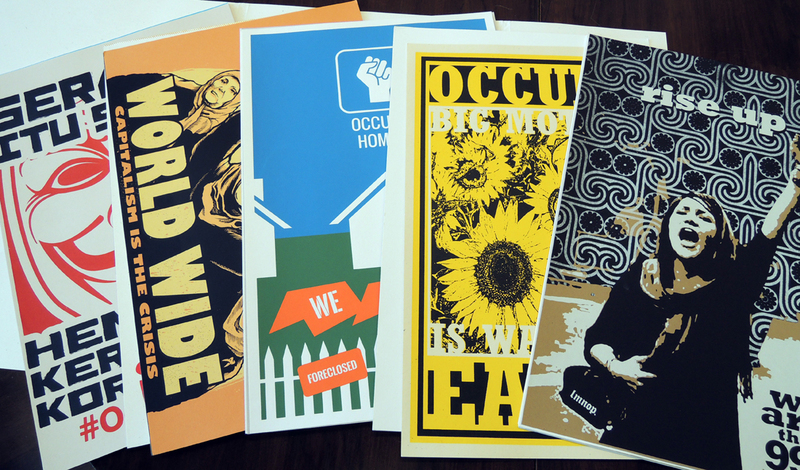 In 2012, a portfolio of thirty-one posters was selected under the curatorial eye of Marshall Weber, director of Booklyn, a non-profit artist and bookmakers organization headquartered in Greenpoint, Brooklyn. Occuprint organizer, Jesse Goldstein, and various Occuprint editorial committee members including Molly Fair, Josh MacPhee, and John Boy assisted in the organization and distribution of the screen-printed portfolio. 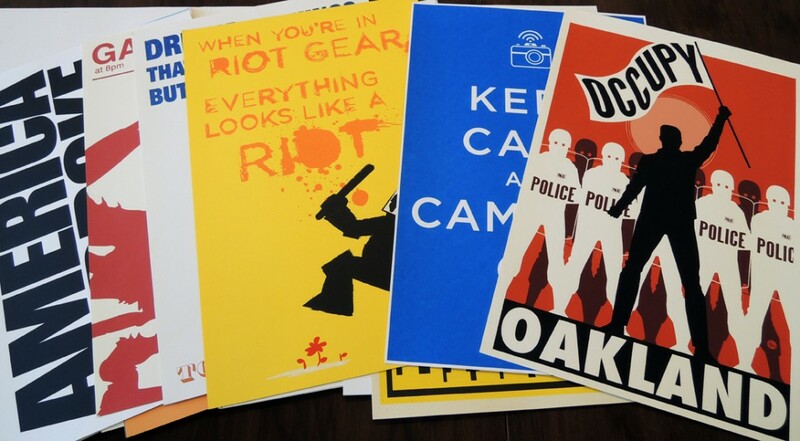 Some posters are signed by the artists and the edition limited to 100 copies. The Graphic Arts Collection is fortunate to have acquired one. This entry was posted in Acquisitions, prints and drawings on February 17, 2014 by Julie Mellby.